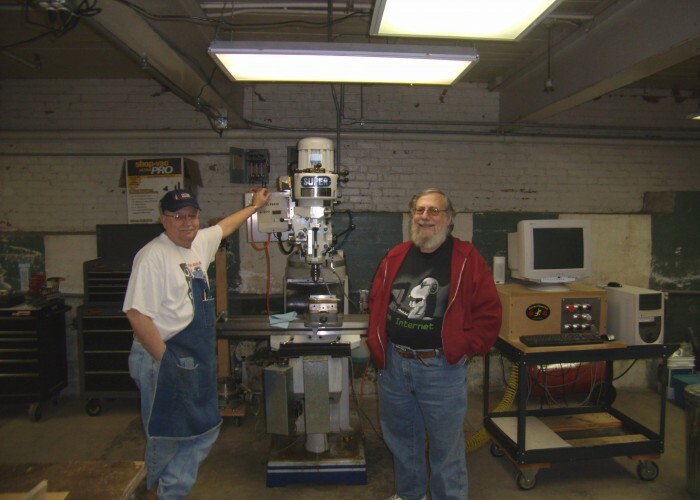 Conducted by Rich, these classes ran two sessions per week for months and introduced students to the CNC mill and lathe by way of making small air/steam “wobbler engines.” Students finishing this class may use the lathe and mill without supervision. The class has been run twice thus far. 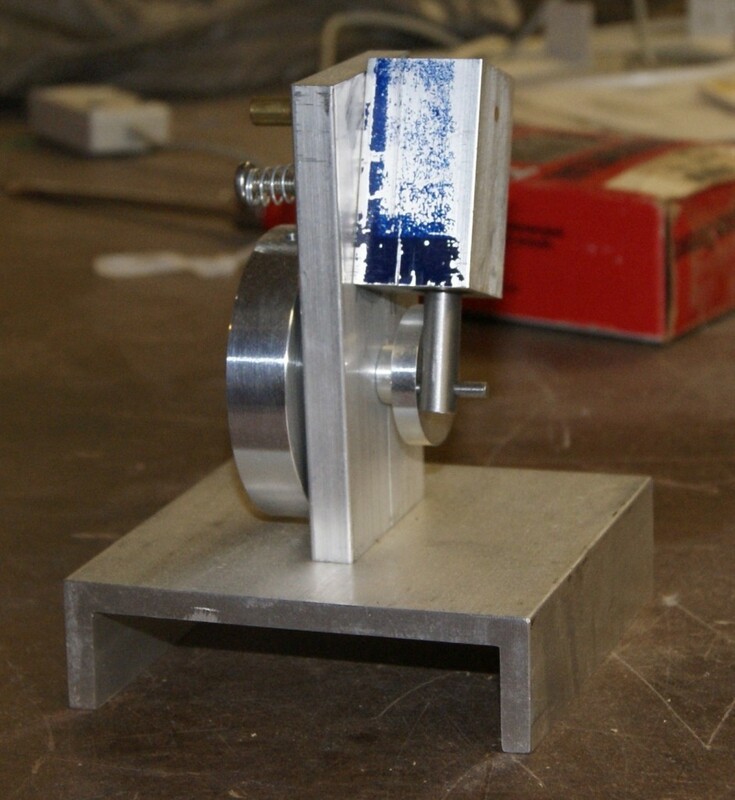 Much shorter than the project class, this introduces students to the basics of the CNC mill and lathe. Rich has conducted this class once. Completers will still need to do a project of their own before being allowed to operate the machinery unsupervised. 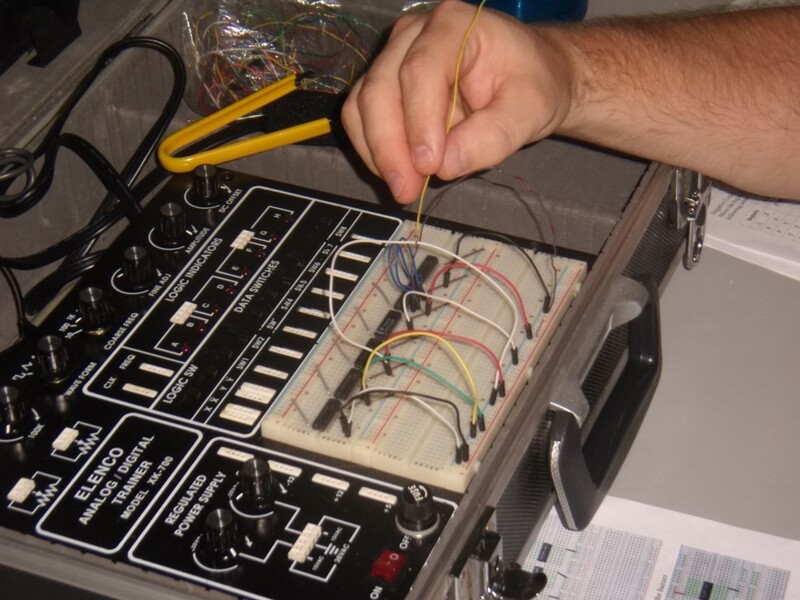 Originally developed at the request of the local Radio Shack, this introduced participants to electronics components, basic circuits, and electrical measurement. Rich has conducted this class once. Conducted by Michelle, this introduced participants to C and C++ and relates it to other languages. Conducted by Dave four times, this workshop provided participants with the basics of using Blender 3D, a 3D modeling program. 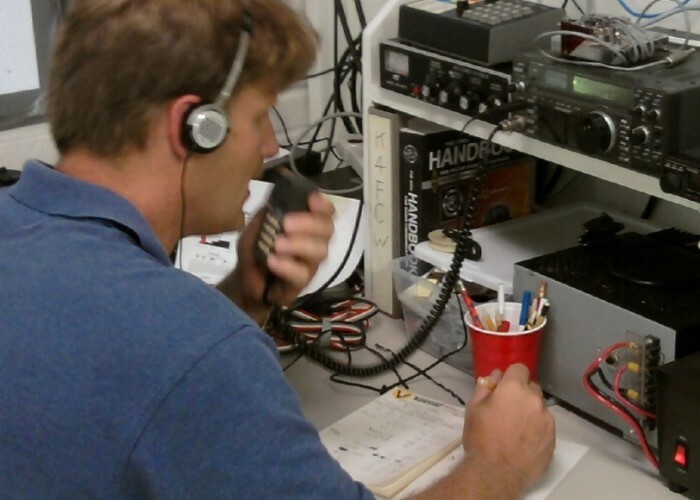 Michelle ran this class five times to help participants pass first level Ham Radio exams. Gary, a local ham has run it once since and more are planned. 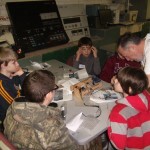 Also run by Michelle, this helped participants upgrade to the second level Ham Radio license. 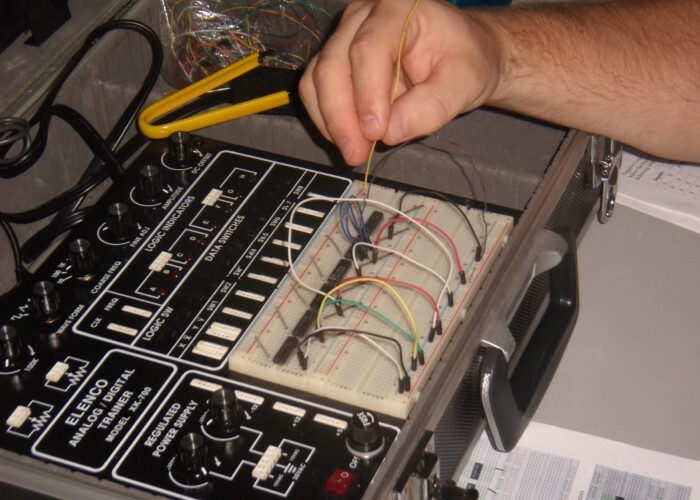 Conducted by Dave, this was the first class in an analog electronics sequence. It covered basic principles, units, measurement, Ohms Law, the power law, and circuits. Also Conducted by Dave, this introduced participants to passive components, switches and batteries — what they are used for, how they work, identification and testing. Conducted by Michelle, this was the first in a digital sequence that introduced AND, OR, XOR, NAND, NOR, XNOR, and NOT gates, logic levels, and gate equivalence. Done by Rich, Bruce or Michelle on an as-needed basis, this shows participants how to use and maintain the laser cutter. Completers may use the laser cutters unsupervised. Conducted by Phil, this provided participants with operating principles of various types of locks and various picking methods. Conducted by Rich using the ST32F4 Discovery board, this introduced the processor, programming, and interfacing to on-board peripherals. All of the above classes were open to the public. FCW has also run classes for specifics groups. 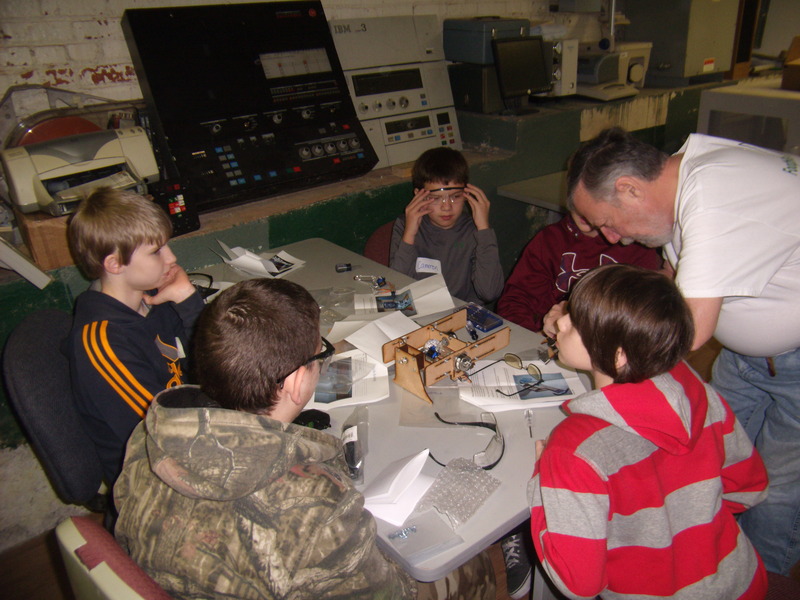 In late 2013 Granite Falls Middle School approached FCW about doing something that would be of interest to a technical class. It was decided that a modification of the Evil Mad Scientist Eggbot, sphere drawing CNC would be good. Due to expense, FCW redesigned much of it and a class was held by Rich and Michelle to 25 middle school students. They built and programmed five eggbots, which went to the school. 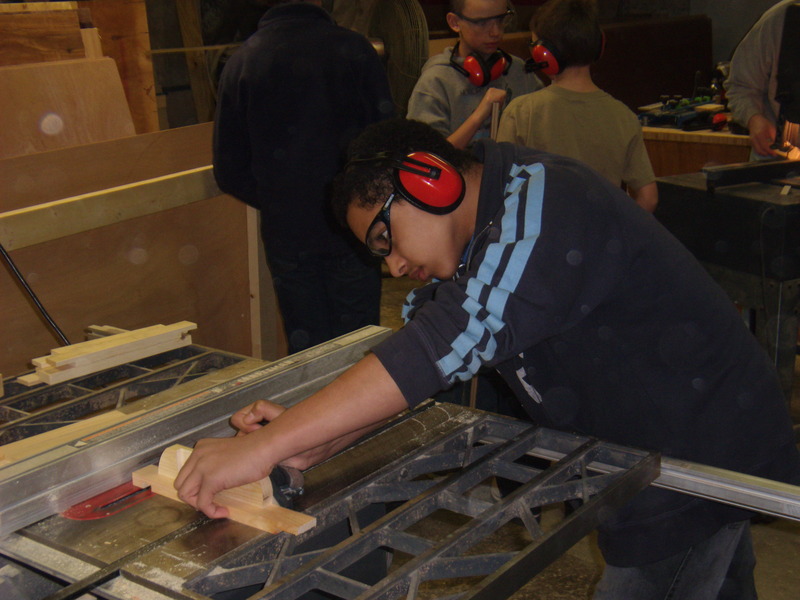 Rick was approached by the Maiden BSA troop about showing the troop some woodworking skills. 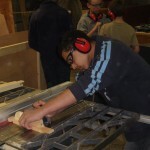 Using the woodshop tools, Rick helped the Scouts learn the skills needed to create picture frames. They want additional sessions in various topics. CCCTI (one of the local community colleges) contacted FCW about a project workshop for Basic Skills students. The initial interest was in more of the eggbots, but after talking, it was decided that an Introduction to Soldering was desired. 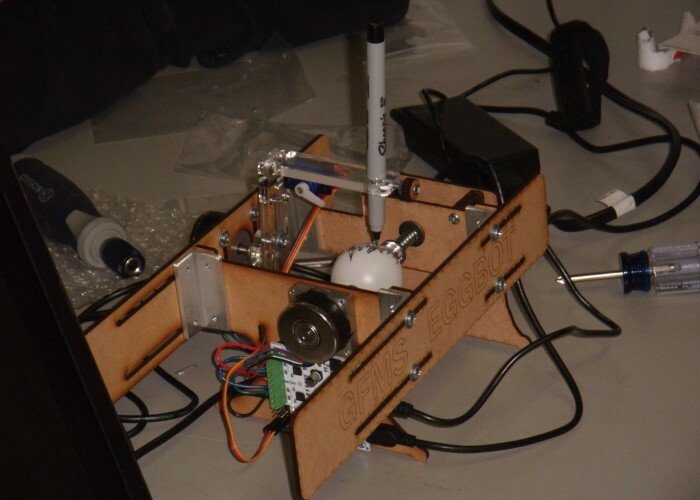 In July, Rich, Michelle, Colin, Gene C., and Adam helped 42 CCCTI students build light blinker kits, which they kept. The college is interested in more similar workshops so we are working on ideas. 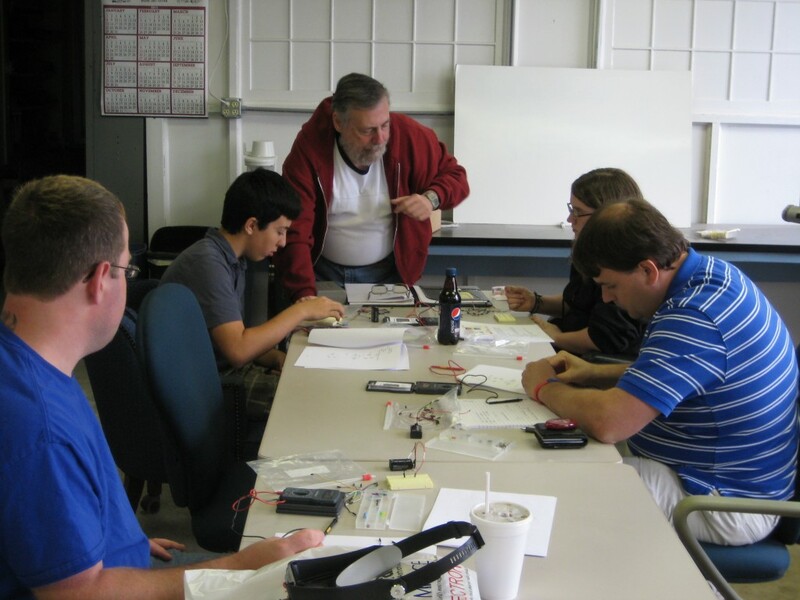 With the acquisition of 17 Semi-Professional Soldering stations, FCW has conducted introductory classes in soldering for South Caldwell High School, local Ham Radio clubs, and the public. 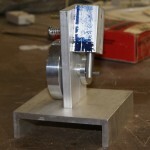 The intro class includes the building of a small project, currently a siren, that the students can keep. These stations have a temperature controlled iron, hot air, solder remover, hot tweezers, and fume extraction. 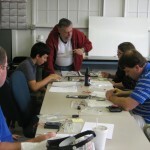 Additional classes are planned in desoldering and SMD technology. 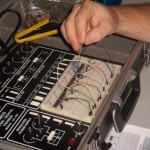 This class covered topics about several micro-controllers. 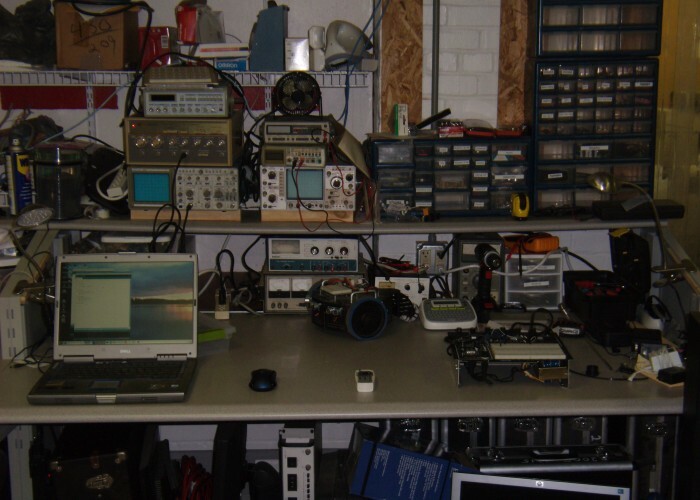 Included were PIC’s, Atmega, Picaxe, Propeller, Basic Stamp, and various ARM processors, including development boards such as the Arduino. The controllers were compared to microprocessors and to each other. Topics included architecture, development environments, languages, selection criteria, and common uses of various controllers. 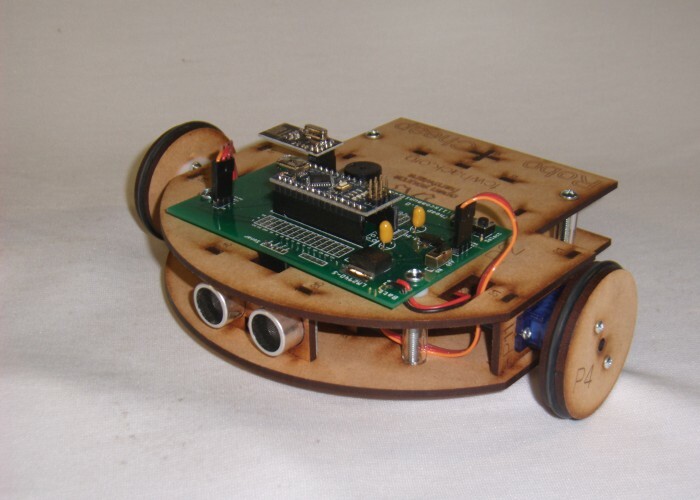 This class introduces the Arduino development board. It has been offered several times and includes the general layout and usage of the Arduino, the Arduino development tool, obtaining libraries, and example projects. 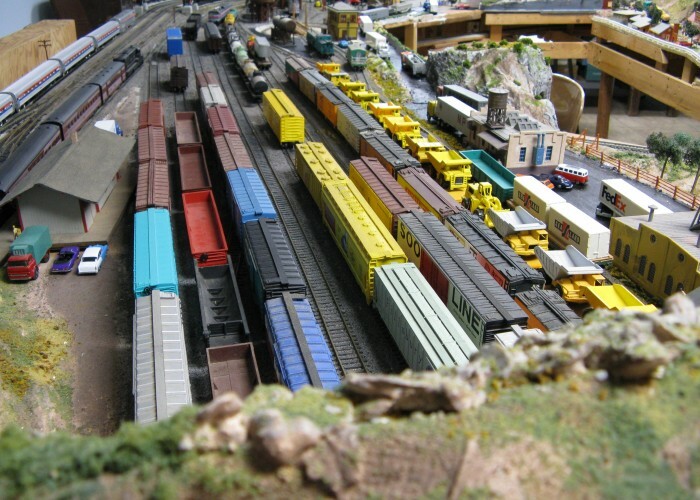 Similar to the Intro to Arduino class, this class concentrates on applications for model railroads. 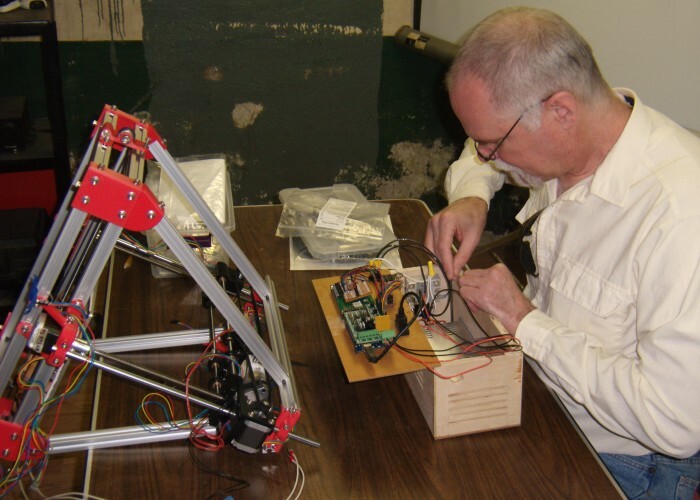 Typical projects include signal control, sensing train position, and animation. 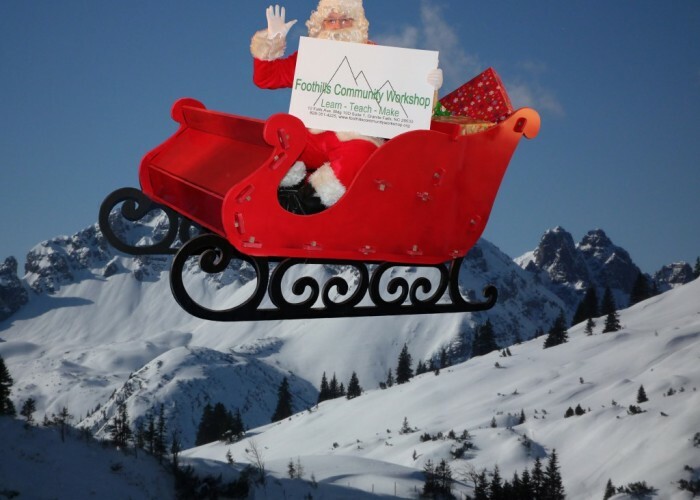 FCW has been pleased to host CS-First sessions. These sessions are intended to teach logic to elementary and middle school aged children by using the Scratch block-oriented language to build projects. Session topics include storytelling, gaming, multimedia, and fashion.